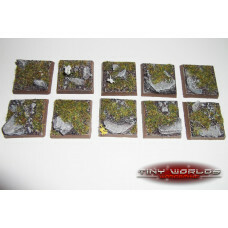 Set of 10 detailed 25mm square wargaming miniature bases appropriate for many fantasy wargames. 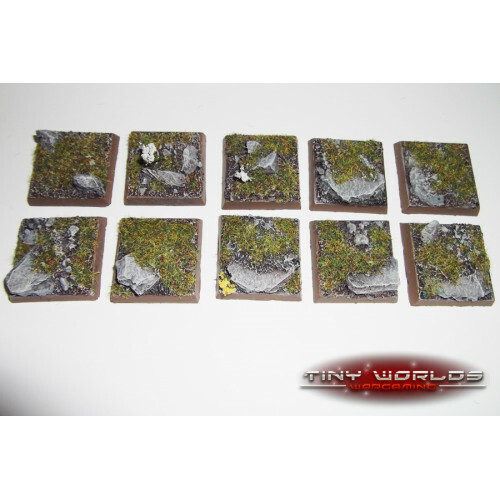 These gorgeous bases depict a sculpted rocky landscape surface and are fantastic for incorporating that further level of detail to your wargames miniatures, swiftly and easily. Produced from a resilient cast polyurethane resin, these bases are sold unpainted and without flock. Painted examples shown to clarify detail and present the achievable completed item. The bases are straightforward to paint with a magnificent level of detail and can be easily mixed with bases from numerous other manufacturers to produce a unique squad.